Mike is the Senior Vice President of Operations at SunStreet where he is responsible for all aspects of operations for both corporate and field across the country. This includes design, engineering, supply chain, installation, sales, customer care, activation, and human resources. Mike joined the company in 2014. Previously, he spent more than 25 years in the homebuilding industry managing multi-million dollar divisions for some of the nation’s largest builders. 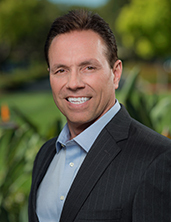 Mike is based in Irvine, CA and is a graduate of the University of Phoenix.